Our Business Preparation Program offers 7 Levels of business classes to engage k-12 students in learning new skills and experiences which will help bridge knowledge from school with skills for business. We have examined traditional education, business training, online learning, parenting strategies and innovative entrepreneurial approaches to teach and learn to develop our classes. The underlying approach is a social cause of teaching kids business through a business model of a social venture. Kids are respected through the instructional approach to help unleash the potential of kids and engage them in new approaches to learning by focusing on making an investment in themselves. We are also innovating in the approach to age specific programming for kids/children/teens/youth. Firstly, we use the term kids to include k-12, children, teens, youth. The classification is not as important as presenting content to individuals to engage them in thinking, exploring and learning. Each age group is capable of reading and learning. 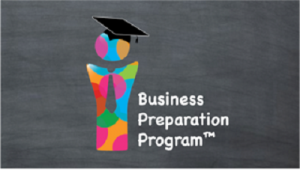 The Business Preparation Program courses will be teach each category of students, or all grade levels of students. The level of learning will be related the level of engagement by the student, the interest in exploring learning and the maturity of experiences to apply the learning. I am excited to announce the website redesign, additional content and features for TeachingKidsBusiness.com. Launch date is October 17, 2017. Registration options to unleash additional content. All of this and more! Enjoy your business experiences on our site!